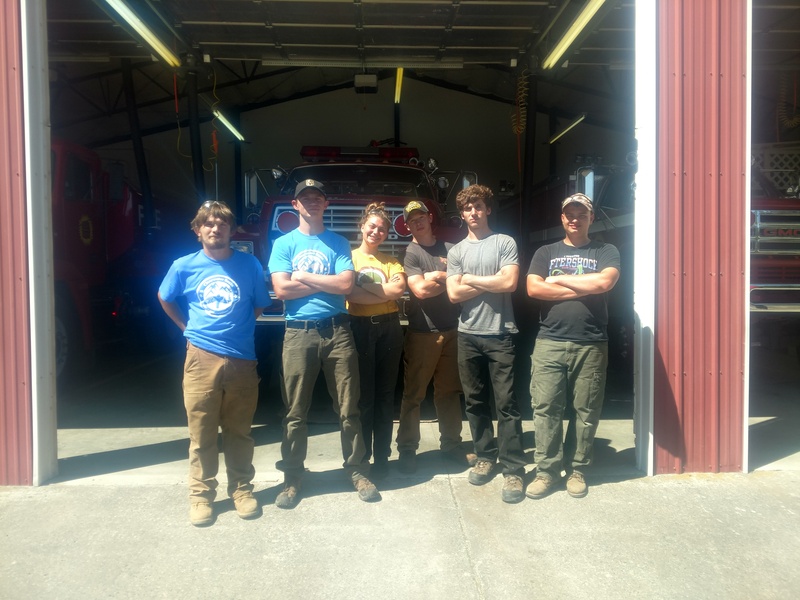 OROFINO, ID — After a summer of learning about trail maintenance, handling tools, and fire safety, the Orofino Clearwater Basin Youth Conservation Corps Crew saved their own hometown from a fire. After the crew put out a call on the radio, CPTPA (Clearwater-Potlatch Timber Protective Association) was quick to show up on the scene, and demonstrated to the Orofino CBYCC Crew how to properly and effectively put out a wildfire. “They sprayed water over the area to make sure it remained out,” said Bundy. The mission of the CBYCC is to expose youth to natural resource career opportunities and facilitate the development of practical problem-solving skills. Student participants work alongside professionals in the field from both private and public companies and institutions on projects that restore wildlife habitat, assist in trail maintenance, and a variety of recreational projects that promote healthy rural communities. When asked about their plans for future jobs, a few members of the Orofino CBYCC Crew said they were interested in becoming Wildland Firefighters. It seems this incident may have sparked their interest.